Episode #54: Superman In 2008: The Year In Review! In this year end episode I review past storylines from Superman comics and rate my favorites. Next I list the publication dates of some of the collections of 2008 stories that are scheduled to appear in 2009. There are a few news items about what might be Superman stories for 2009. I have a few comments about the Warner Brothers movie studio's development, or lack of, of DC characters. Finally I give my new year's resolution and what's coming up in Superman Fan Podcast in 2009! Send e-mail about this podcast to supermanfanpodcast@gmail.com. Expanded show notes can be found at http://supermanfanpodcast.blogspot.com . MY PULL LIST is my spoiler free comic book review blog. It can be found at http://mypulllist.blogspot.com . Send e-mail about this blog to mypulllist@gmail.com. Superman and all related characters are copyright D C Comics. Thanks for listening to SUPERMAN FAN PODCAST in 2008, and, as always, thanks to Jerry Siegel and Joe Shuster. Episode #53: HOME FOR THE HOLIDAYS! The Adventures Of Superman 462! 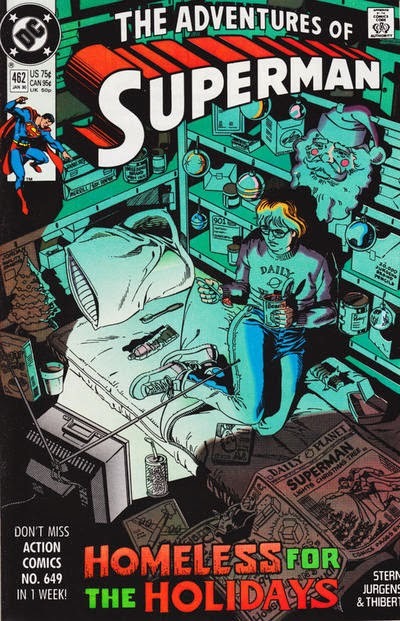 HOME FOR THE HOLIDAYS was one of the earliest Superman Christmas stories of the 1990's. It appeared in THE ADVENTURES OF SUPERMAN issue 462, January 1990, and appeared on shelves on November 28, 1989. It was reprinted in the now out of print DC Comics trade paperback LOIS & CLARK: THE NEW ADVENTURES OF SUPERMAN. If you would like to read this story before listening to this episode, you can search for it on line or in the back issue bins of your local comic book store. This episode is for the week of Christmas, so Merry Christmas and Happy Holidays to everyone! Episode #52: CURT SWAN: A LIFE IN COMICS by Eddy Zeno! Curt Swan: A Life In Comics by Eddy Zeno! 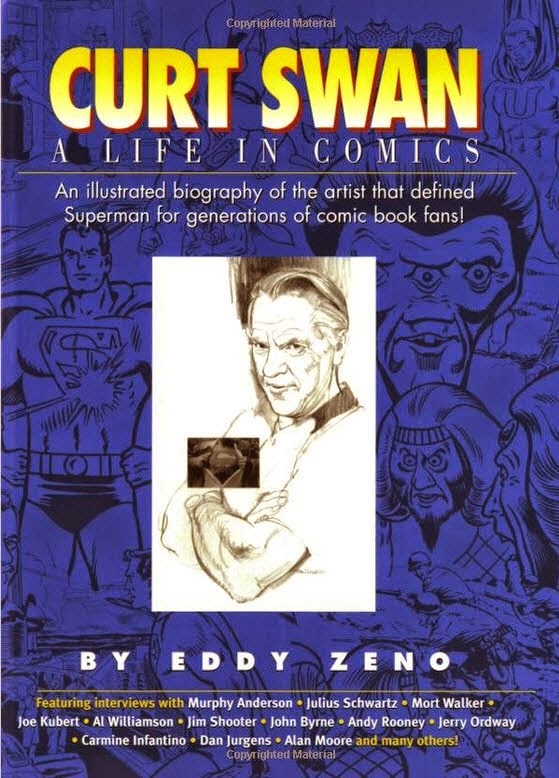 A perfect addition to anyone's library on the subject of comic book history or biography is the book CURT SWAN: A LIFE IN COMICS by Eddy Zeno. It was published by Vanguard Productions and is still in print. If it is not available at your local library, you can buy it from your local bookstore, order it directly from the publisher at http://www.creativemix.com/vanguard , or from Amazon.com or other on line vendor.It is a great addition to anyone's Christmas wish list. MY PULL LIST is my spoiler free review blog of the comic books I read every week. It can be found at http://mypulllist.blogspot.com . Send e-mail about this blog to mypulllist@gmail.com. Superman and all related characters is copyright by DC Comics. Episode #51: A Superman Fan Christmas Wish List! This week is a perfect time to review some of the collected editions available on Superman. Thanks to http://dccomics.com and http://collectedcomicslibrary.com for being valuable resources. 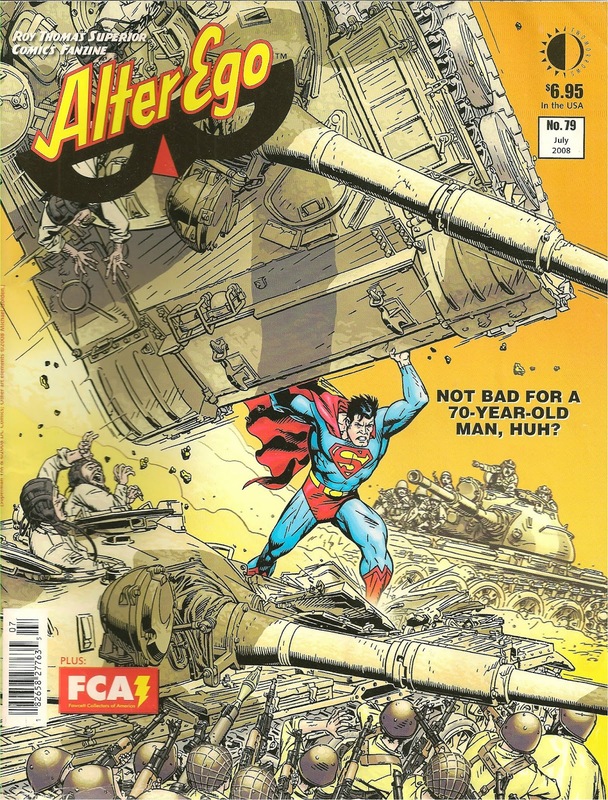 I review some editons that might be good to introduce younger readers to Superman, as well as more expensive editions that may be of interest to older readers. MY PULL LIST is my spoiler free comic book review blog of the comic books I read every week. It can be found at http://mypulllist.blogspot.com . Send e-mail about this blog to mypulllist@gmail.com. Episode #50: Happy Birthday, Jimmy Olsen! Jimmy Olsen's traditional birthday is on November 29, according to the web site http://supermahomepage.com . In this episode we explore his history, some of his crazy transformations and some of the actors who have portrayed him on radio, tv and movies. SUPERMAN FAN PODCAST can be found at http://supermanfanpodcast.mypodcast.com . Expanded show notes can be found at http://supermanfanpodcast.blogspot.com . Send e-mail to supermanfanpodcast@gmail.com . MY PULL LIST is my spoiler free comic book review blog at http://mypulllist.blogspot.com . Send e-mail about this blog to mypulllist@gmail.com. 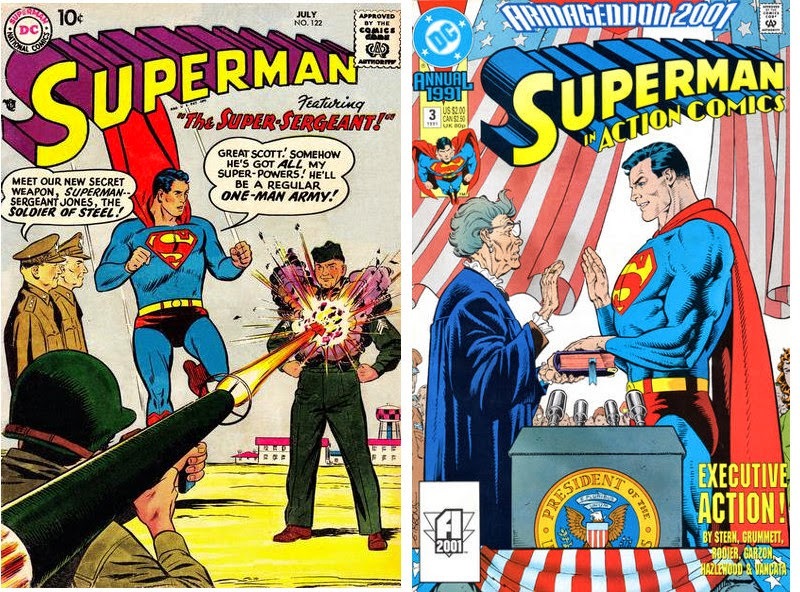 Episode #49: Superman Meets President Kennedy! Action Comics 309 & title page for 1st story of Superman 170! To honor our late President during the month of his unfortunate assassination, this episode features two stories featuring Superman meeting President Kennedy. If you would like to read these stories before listening to this episode, you can find them easily in the following resources. THE SUPERMAN SUPER SPECTACULAR was published in ACTION COMICS 309, February 1964. It was reprinted in SHOWCASE PRESENTS: SUPERMAN VOL. IV. 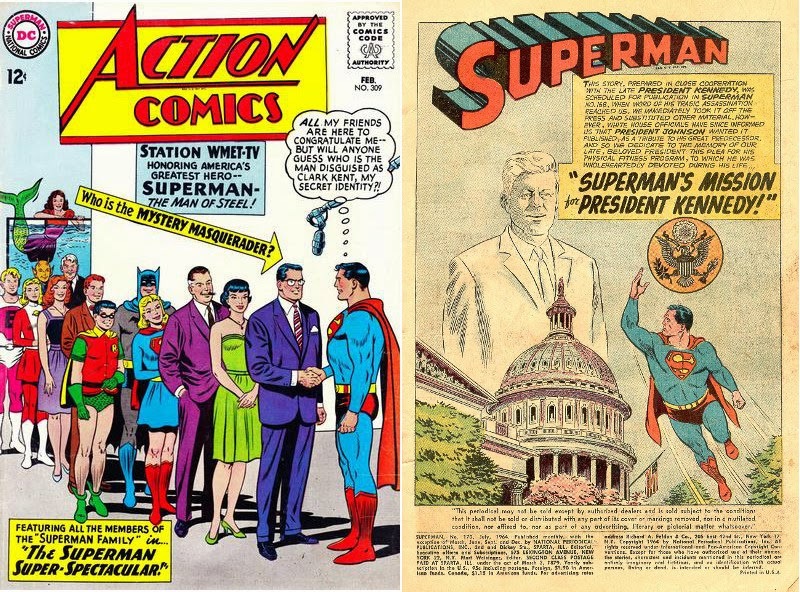 SUPERMAN'S MISSION FOR PRESIDENT KENNEDY originally appeared in SUPERMAN 170, July 1964, and was reprinted in the trade paperback SUPERMAN IN THE SIXTIES. Expanded show notes can be found at http://supermanfanpodcast.blogspot.com . Send e-mail to supermanfanpodcast@gmail.com. MY PULL LIST is my comic book blog where I review the titles I read every week. It can be found at http://mypulllist.blogspot.com . Send e-mail about this blog to mypulllist@gmail.com . Episode #46: A Superman Halloween: RED GLASS! Superman 56, The Adventures Of Superman 479 & Action Comics 666! RED GLASS was published in the Superman titles cover dated June 1991: SUPERMAN #56, THE ADVENTURES OF SUPERMAN #479 and ACTION COMICS #666. There was no information on any reprints of this story, so if you would like to read this story for yourself before you listen to this episode, check the back issue bins or on line vendor. A small note of caution: While this story is not explicit in its action, this story might be too scary for the youngest listeners or readers. For those listeners with children, you know them best, so use your discretion when deciding if this episode will be appropriate for them. MY PULL LIST is my spoiler free review blog where I write about the comic books I read each week. It can be found at http://mypulllist.blogspot.com . Send e-mail about this blog to mypulllist@gmail.com. Episode #45: SUPERMAN #50: The Engagement Of Clark And Lois! 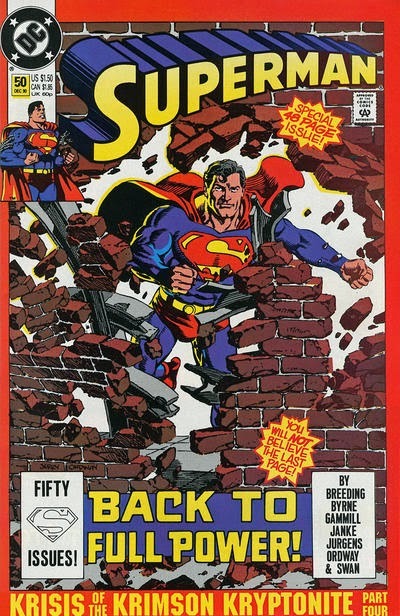 On October 23, 1990, SUPERMAN #50 was published. It was the concluding issue of the four part KRISIS OF THE KRIMSON KRYPTONITE. 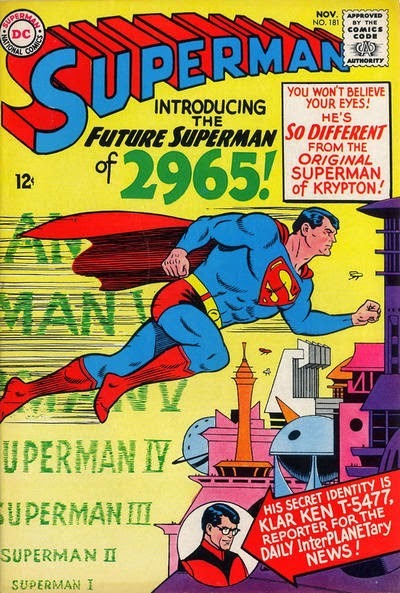 That story began with SUPERMAN #49, and continued in ADVENTURES OF SUPERMAN #472, STARMAN #28, ACTION COMICS #659 and concluded with SUPERMAN #50. The story was collected as SUPERMAN: KRISIS OF THE KRIMSON KRYPTONITE trade paperback in 1996. It is no longer in print by DC Comics, but you may be able to find the TPB at amazon.com or ebay. Clark proposes to Lois early in issue #50, and Lois gives her answer on the very last page. This episode briefly covers the basics of the Krimson Kryptonite storyline, and at the end cover the issues that show the development of Clark and Lois' relationship beyond the professional rivalry it began with. Next week: the perfect Superman story for Halloween: RED GLASS from SUPERMAN #56, THE ADVENTURES OF SUPERMAN #479 and ACTION COMICS #666 (perfect number for Halloween, huh?). Covers for all three issues were drawn by Andy Kubert. Episode #44: A Superman Double Feature! (L to R): Superman 159 & Action Comics 300! Both of these stories were reprinted in the recently published SHOWCASE PRESENTS: SUPERMAN. IV. These stories were originally published under the editorship of Mort Weisinger and were written by Edmund Hamilton. 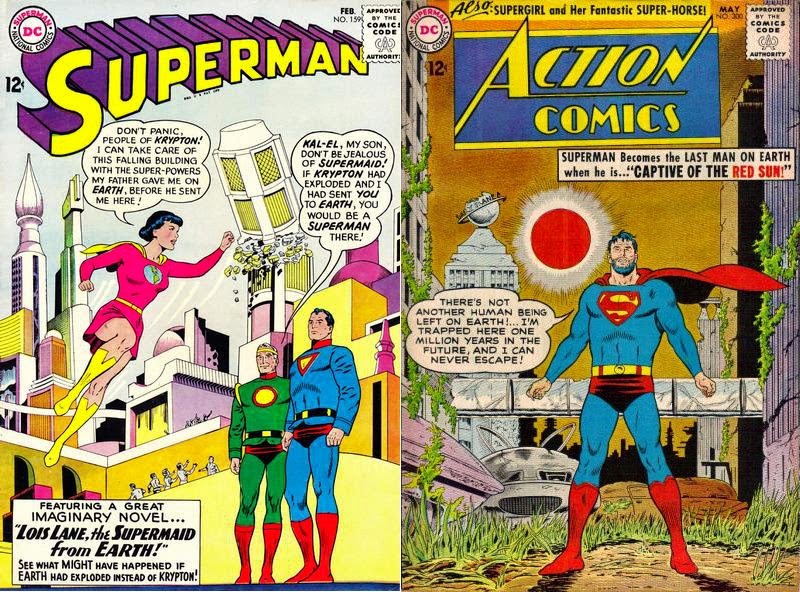 Curt Swan and George Klein created the art for the covers. 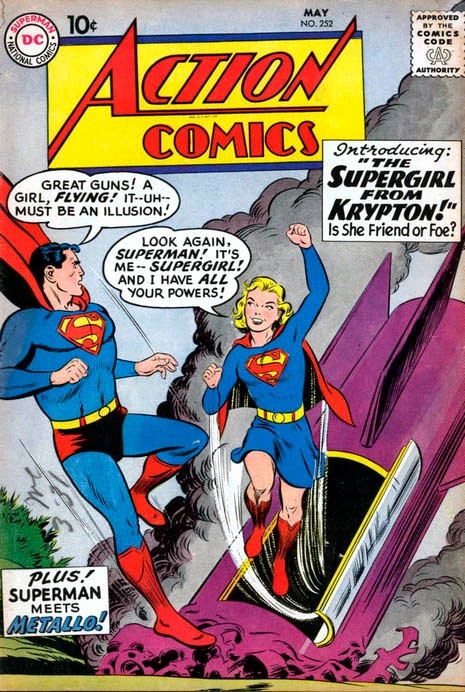 LOIS LANE, THE SUPER-MAID OF KRYPTON was originally published in SUPERMAN #159, February 1963, on December 20, 1962. Curt Swan and George Klein created the art for this story. SUPERMAN UNDER THE RED SUN appeared in ACTION COMICS #300, May 1963, on March 28, 1963. Al Plastino drew the art for this story. Send e-mail about this podcast to supermanfanpodcast@gmail.com. MY PULL LIST is my spoiler free comic book review blog which can be found at http://mypulllist.blogspot.com . Send e-mail about this blog to mypulllist@gmail.com . Episode #43: Kirk Alyn & Gregory Reed: Superman Actors! Kirk Alyn was born on October 8, 1910 and died on March 14, 1999. He is best known for portraying Superman in two movie serials, in 1948 and 1950. He also played the young Lois Lane's father on the train scene in SUPERMAN: THE MOVIE. He also played the starring role in another serial based on a comic book character, BLACKHAWK, in 1952. The two Kirk Alyn Superman serials, SUPERMAN and ATOM MAN VS. SUPERMAN are collected in a DVD edition. And before you look up Gregory Reed on the imdb.com web site, listen to this episode first, or go to this site: http://dc.wikia.com/wiki/Special:Search?search=gregory+reed&go=1 . If you have any information about any DVD collections of Kirk Alyn's serial BLACKHAWK, or any other ideas, suggestions or comments, send them to supermanfanpodcast@gmail.com. MY PULL LIST is my spoiler-free review blog of the comic books I read every week. It can be found at http://mypulllist.blogspot.com . Send e-mail comments about this blog to mypulllist@gmail.com. 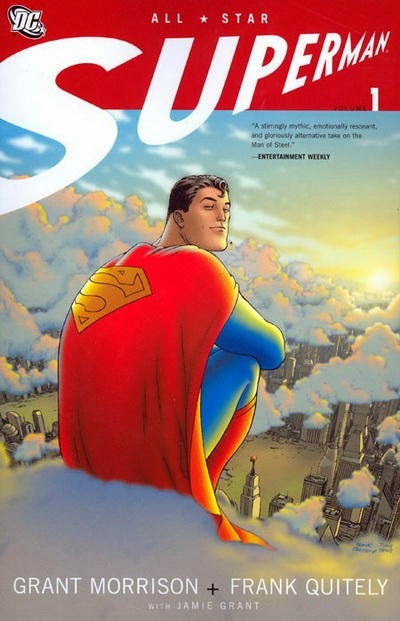 Episode #42: ALL-STAR SUPERMAN: The Review! With issue #12 of ALL-STAR SUPERMAN finally being published, I review the entire mini-series in this episode. CORRECTION: On episode #41, when I discussed SUPERMAN #175, CLARK KENT'S BROTHER, the young Lex Luthor wove himself into the Kent's lives to find proof theat Clark was Superboy, NOT to murder the Kent's as I said in that episode. MY PULL LIST is my spoiler free comic book blog of the titles I read every week. It can be found at http://mypulllist.blogspot.com . Send e-mail about this blog to mypulllist@gmail.com . Episode #36: ALTER EGO Issue #79! - The top 7 early Superman illustrators. -An interview with Jean Shuster Peavy, Joe Shuster's younger sister. -K IS FOR KRYPTON about the unpublished K-metal story we explored in Superman Fan Podcast episode #28. 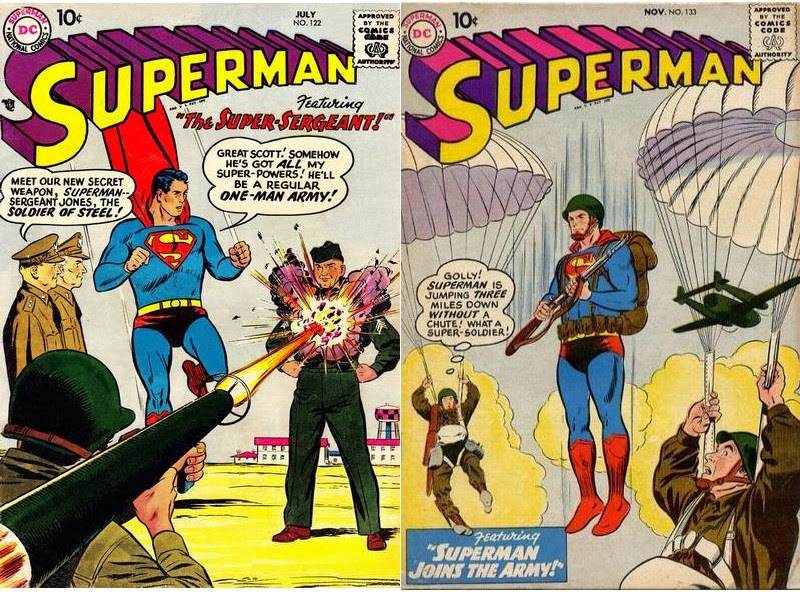 -THE REICH STRIKES BACK dispels the myth that the Nazis denounced Superman. Episode #35: Glenn Ford As Pa Kent! The actor Glenn Flord passed away on August 30, 2006 at the age of 90. Superman fans know him as Pa Kent in SUPERMAN: THE MOVIE from 1978. 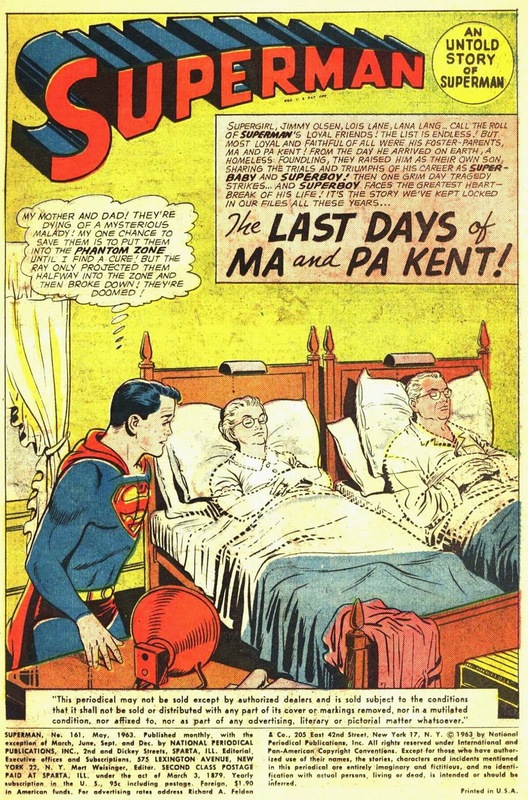 We explore his life and acting career, and how, as Pa Kent, he influences young Clark and builds in him the foundation for the Superman to come. And I share a few reminisces about what I've learned from my own father that have remained with me for almost fifty years now! To visit the Glenn Ford family's official web site: http://www.glennfordbio.com . Episode #34: Jack Kirby's Project Cadmus! Jack Kirby (Jacob Kurtzberg) was born on August 28, 1917 and died on February 6, 1994. In episode #4 we explored the comic book career of Jack Kirby in general. In this episode I want to explore some of the characters that Kirby created in the only regular Superman title Kirby worked on, SUPERMAN'S PAL JIMMY OLSEN. Kirby's first issue was 133. In that issue we are introduced to Project Cadmus. If you would like to read Kirby's Jimmy Olsen issues before you listen to this podcast, those stories have been collected in the trade paperbacks, JIMMY OLSEN ADVENTURES by Jack Kirby VOL's. I and II. Also, check out Mark Evanier's excellent art biography, KIRBY, KING OF COMICS and his web site http://www.newsfromme.com . Expanded show notes can be found at http://supermanfanpodcast.mypodcast.com . Send e-mail to supermanfanpodcast@gmail.com . Episode #33: Happy Birthday, Lois Lane! Lois Lane's accepted birthday is August 17, thanks to the web site supermanhomepage.com. Since we explored her history in Episode #5 on the week of Valentine's Day, this time we look at one of the most unusual Lois Lane stories, I AM CURIOUS (BLACK) from SUPERMAN'S GIRL FRIEND LOIS LANE 106 (November 1970, on sale September 24, 1970). At the end of the episode I discuss a man who actually did the same thing. John Howeard Griffin, in his book, BLACK LIKE ME,medically caused his skin to darken so he can pass as an African American man and experience prejudice and racism firsthand. The book BLACK LIKE ME is still in print. Expanded show notes can be found at http://supermanfanpodcast.mypodcast.com . Send e-mail to supermanfanpodcat@gmail.com .